I am not sure about you, but I am quite sure you are just like me when it comes to eyelash mascara. I may even skip the makeup, but the mascara can’t be missing. We all are looking to find that perfect mascara that will simultaneously lift, separate, thicken, and plump lashes. Yeah, this is not an easy task. However, what can make it even more complicated is when we have sensitive eyes. Do you use contact lenses? Does the usual mascara leave your eyes red? Having sensitive eyes can be a real challenge because not every beauty product will suit you. The good news is that there are products designed especially for your sensitive eyes. The best choice for you is the hypoallergenic mascaras. Their formulas lengthen and define the lashes, but also take care of your eyes. Packed with gentle mineral pigments, antioxidants, and conditioning extracts these mascaras will add volume and length to your lashes. What Causes Eyes To Become Sensitive? Eye allergy is a response of the immune system to a particular substance, which is called an allergen. The allergen is basically substances producing allergic reactions. These substances can be, for example, pollen, pollution, and pool chlorine. Tobacco smoke, and even some cosmetics or make-up products are also often the cause of eye allergies. The symptoms and signs of eye allergies are irritated eyes, itching, watery or burning eyes, and peeling of the skin of the eyelids. Anyone can develop allergic reactions in the eyes. However, patients who have asthma, allergic rhinitis or skin allergies are at increased risk of triggering eye allergies. Contact lenses may also cause eye irritation. Moreover, in the long run, frequent use of contact lenses can cause dry eyes. Can You Be Allergic to Mascara? Some women are allergic to the ingredients in mascara. This may cause watery and even red eyes. Women that are prone to seasonal allergies may find that by using poorly formulated mascara, can irritate their eyes. Which Ingredients Should I Look For, And Which Should I Avoid? To find the simplest formula, is the basic and easiest rule to remember. 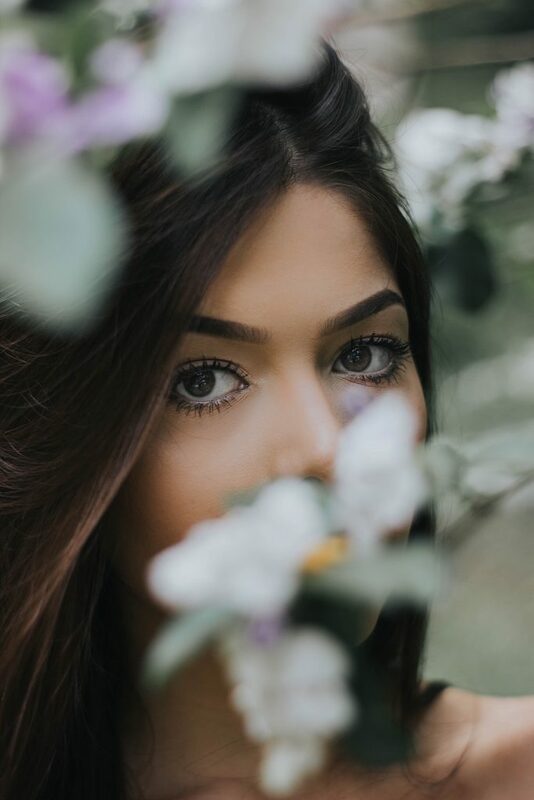 Avoid ingredients like Hydroxyethylcellulose (HEC), Isopropyl Myristate, Fragrance, and Wheat, which are all irritants that can worsen the red-eyed look. Sticking to black rather than brightly colored mascara, and looking out for fragrance-free products is always the safe option. Opt for gentle ingredients such as Aloe Vera, which can help to tackle inflammation. It is essential never to share your mascara with your ladies. Never use old makeup. Mascara should be kept for no more than three months. How To Pick The Appropriate Mascara For Sensitive Eyes? If you have delicate eyes or in case you use contact lenses, picking a mascara for sensitive eyes could be a smart decision. This is because these mascaras have been tried and tested by ophthalmologists and dermatologists. Hypoallergenic mascaras have been specially formulated for sensitive eyes. It is the one that doesn’t include ingredients that are common allergens. It is free from fragrance. You will recognize them because most of them are marked as such. What’s the best way to apply mascara to sensitive eyes? Try to minimize the direct contact with your eyes. Avoid applying right at the roots of your eyelashes. If you’re an eyeliner junkie, you should refrain from ‘tight-lining’ inside the waterline. If you want to boost your eyelashes, consider investing in eyelash curler, rather than overloading your eyelashes with mascara. Shu Uemura’s Eyelash Curler considered being one of the best in the business. Below, you can find one of the best hypoallergenic mascaras that will work with your sensitive eyes. 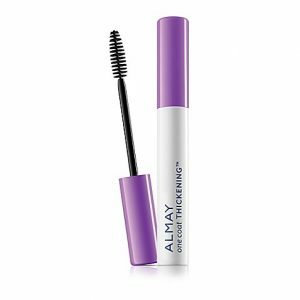 Almay One Coat Thickening Mascara is considered one of the best hypoallergenic mascaras on the market. Tested by ophthalmologists this mascara is safe for contact lens wearers and those with sensitive eyes. This mascara is also great for women looking to invest in mascara which won’t clump or smudge. Completely safe to use, this is a non-allergenic mascara that will make your lashes thick and will not hurt your eyes, thanks to conditioning ingredients like aloe and vitamin B5. For best outcomes, you will need to apply a second layer. The brush is very fundamental and simple to utilize. * Available in 3 shades so you can flaunt your pretty eyes in 3 different colors. * Perfect for contact wearers and women with sensitive eyes. * You won’t feel any irritation at all. 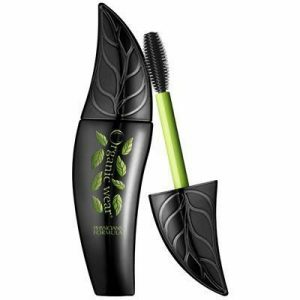 Physicians Formula Organic Wear Mascara comes in a unique leaf shape bottle. To be honest, this cute shape is not very convenient when you want to roll the brush while applying in your eyelashes. Made from 100% natural ingredients, it will give you a natural look, adding volume and length to your eyelashes. It is simple to remove, but it takes a while to dry on your lashes. * It contains all natural ingredients. * It adds more length and volume to your eyelashes. * This mascara tends to smear and run. 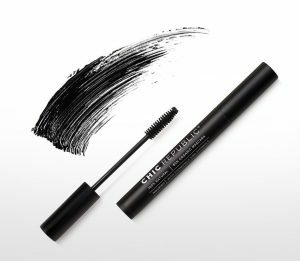 Blinc Mascara Amplified has an extraordinary formula that encapsulates each lash in water-resistant tubes. These tubes easily slide off when water is applied and leave no residue behind. Clinically tested, Blinc mascara will not irritate your eyes, because it was designed for those with sensitive eyes. You can wear it all day long without any smudges or flakes. 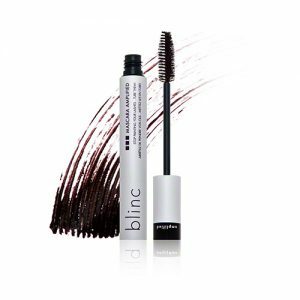 Blinc Mascara does an excellent job with regards to enhancing the length of your lashes. If you suffer from sensitive eyes and you are long for a lash-lengthening mascara, this one is definitely the right choice for you. In any case, if the volume is the thing that you are looking for, then this is not the best product for you. * Very simple to expel. * It creates a nice tubing impact. * It enhances the length of your lashes. * It won’t add volume to your lashes. 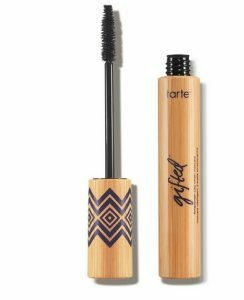 Tarte Gifted Amazonian Clay Smart Mascara comes in a cute bamboo packaging representing its vegan tube without gluten or parabens. his mascara is filled with only natural ingredients such as rice bran wax, which helps lengthen the appearance of your lashes, Provitamin B5, which helps hydrate them, and also antioxidant like Vitamin C, which fights free radicals. The brush is made up of natural bristles and has average size. Tarte Gifted Amazonian Clay delivers long and glamorous results, enhancing the volume and length of your lashes. 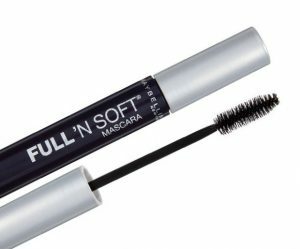 On top, because of its ingredients, this mascara hydrates and restores broken lashes. Some people claim that their eyes felt a little dry, but at the end of the day, no redness or flaking was noticed. * It applies equally on your lashes. * It Enhances volume and length. * It can effectively define and isolate your lashes. * It tends to dry out too rapidly. This lash-lengthening mascara leaves your lashes noticeably longer without clumps, flakes, or smudges. Deeply nourishes and strengthens lashes from the inside out with an exclusive vitamin E &amp; olive oil formula, so it helps grow your lashes to their fullest potential. Your lashes stay strong day after day. It is Dermatologist- and ophthalmologist-tested, and it is perfect for sensitive eyes and for contact lens wearers. You can quickly remove with water or with Neutrogena Oil-Free Makeup Remover. Applying is easy: start at the base of lashes and wiggle brush up to the tip of lashes. Repeat to build length. * It is lash-lengthening mascara. * No smudges, clumps, or even flakes. * It has vitamin E and Olive Oil for better nourishment. * It can extend the lashes twice their length. * Brush quality not that excellent. This mascara is a high-performance mascara that defines, lengthens and enhances the lashes naturally. The Chic Republic is 100% natural, 85% organic, and 100% cruelty-free as it was never tested on animals. The formula is free from synthetic preservatives, parabens, phthalates, propylene glycol, paraffin, lead, and nanoparticles. There are no artificial dyes or fragrances. It is enriched with various natural products such as chamomile, and beeswax and fortified with Vitamin E, cinnamon extract, rosemary extract, lavender flower, and lemon peel. It is incredibly popular among people with sensitive eyes because it is completely non-irritating. The brush is a slightly tapered with bristles which is great for getting good coverage. Before applying to your lashes make sure there’s no excess product chunked up on the wand and after that give it some time to dry. You can build layers if you want, but remember to wait between layers to give each coat time to dry. If you apply the next coat too soon, you’re going to face clumping. * Extremely mild; suitable for users with dry and/or sensitive eyes. ​* You might need to apply it multiple times before getting good volume. * The application may be a tad more tedious than what you’re used to. * You may experience some smudging. * It may dry up in the tube a little fast so you should use it daily. This mascara is a hypoallergenic mascara, nourished with vitamin E to produce full, silky soft lashes. The formula contains a polysaccharide resin to disperse color from root to tip. Its quick dissolve formula allows for easy removal. This nourishing and hypoallergenic mascara is ophthalmologist tested and suitable for contact lens wearers. * Tested by ophthalmologists and dermatologists. * Its hypoallergenic formula includes vitamin E to nourish lashes. * It doesn’t clump or flake. * Contains oxides for pigment and parabens. * Since Maybelline isn’t a cruelty-free brand, this product is subject to animal testing. Have you tried one of the mascaras above? Don’t forget to leave your comments. Your opinion is very important to us and highly appreciated.